Taika Waititi is the gift that keeps on giving! I’ve already shared some of his stories from his BAFTA screenwriting lecture, but I have one more to mark my final post of 2018. 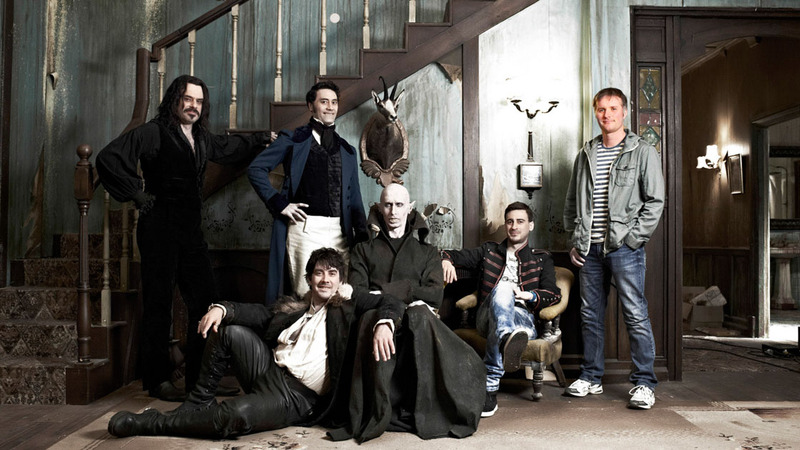 I LOVE What We Do in the Shadows, the 2014 horror-comedy mockumentary starring Taika Waititi, Jemaine Clement, and Jonathan Brugh as three vampires living together in a modern-day Wellington, New Zealand. So naturally, I was very interested to know what Waititi had to say about it during his recent BAFTA talk, so here are some of his best quotes. I went to see this without any clue about what it is. All I knew was what the characters looked like from the poster, my New Zealand friend loved it and it was co-written, co-directed and starring Jemaine Clement from Flight of the Concords. I was pleasantly surprised. It was far more oddball and brilliantly funny that I expected.